When you are trying hard to get on top of search engines and start optimizing your website, your bounce rate might go high. So, are you worried about higher bounce rate by looking at your Analytics report? Bounce rate indicates your website's health and effectiveness of your marketing strategy. People visiting your website or your landing page, bounce off and does not give you chance to convert them into your customer. A higher bounce rate of your website clearly states that there is some problem going wrong on your website or in your strategy. The bounce rate of your webpage = total number of bounces on a page (DIVIDED BY) a total number of landing or entrance on the page. Your bounce rate increases when a visitors come to your site and leaves without viewing other pages of your website. Generally, a bounce rate below 40% is considered to be good which means that your visitors are viewing and reading multiple pages of your site’s content or pages per session. But if you have a bounce rate of more than 60%, then it’s really a matter of concern and there might be a bunch of different reasons that have probably increase that bounce rate of your site. So, to catch the culprit that is making your website bounce rate high, here are 15 best and easy tips that will help you to fix and reduce your website's bounce rate. Every visitors who visit your site comes with an intention to gain some knowledge or to make some purchase. But what if your site is not appealing and attractive? Your visitors will exit after they finished reading or as soon as their problem or the purpose is solved. If you make your site catchy and designed well, your visitors will browse and explore further on your website even if their purpose of visiting was different. This will increase your page views and ultimately reduce your bounce rate. Page loading speed might be a reason for your high bounce rate. If your site takes too long to load (more than 5 seconds) then people are sure to bounce. Why? Because we do not have time to wait and do not have the patience to wait. So, test your website page speed and examine the suggestions and try to fix the problems that are rendering your website loading speed. We all know most of our site visitors nowadays are form smartphones or from mobile devices. If your website is not responsive or mobile-friendly then your visitors will bounce back to the search result. No one likes to view or read contents that need to be zoomed or move every now and then just to read a single line. So, if that is the problem that is increasing your bounce rate than, this is the time to make your site responsive to mobile devices as well. You can also read my article on Importance of mobile-optimized websites. Lots of content writers do not optimize their Meta description. The Meta description is the first impression that your visitors probably have when the search for your keyword. As a result, CTR starts becoming low. And when you find your CTR declining, then it is the time to work on your Meta descriptions. When your visitor's searches and find your content, just reading your Meta description, your visitors are reassuming and picturing about the whole of your content. As a saying goes “A book is judged by its cover”. So, try to optimize and write Meta description, keeping in mind that it should contain targeted keywords, catchy and gives the whole of your content and relevant Meta description within 155 characters (this is the optimal length of Meta description). Content is something that is more than anything else which decides about your site’s success. Whether it might be traffic, monetization or even bounce rate. If you have content that is of really great and unique, then whatever your site be. If your site doesn’t look or not attractive at all, but if you have good quality and unique contents, then people will be bound to stick to your site. Thus, reducing your site’s bounce rate. If it is the landing page that is increasing your bounce rate, then optimize your landing page. Find if your landing page is lacking call-to-action (CTA) or you are using too much of call-to-action buttons that is annoying your visitors. Bounce rate range is same even in your landing page then you need to work on optimizing your landing page. Because landing page is the first impression your visitors are getting from your website. Your landing page should attractive and give your visitors clear idea about your site and should not contain too many stuff. When you optimize Call-To-Action, you should use it very smartly, because a small change in the text on Call-to-action button will make a very big difference to your visitors. Because it can make the visit to become potential customers and lead your visitors to the resource page of your site. Always make your external links open in new windows. If your visitors click on your external links and if it opens in the same window, they have to click on the back button to get back to your site or the content which your visitors was reading. This is really annoying and fatigue for your readers. And if you have more external links on your page then your visitors have to click back button more and more. This will create frustration in your visitors' mind or may get distracted by your external linked website. This will ultimately increase both your bounce rate and exit rate as well. You can also read my article on a Complete guide on Internal linking - SEOlinking - anchor text and more. Analyze your analytics data and review the traffic source that from which traffic your visitors are visiting your website. Like through email, referral paid traffic or any other sources or channels. If the bounce rate from social media traffic is found to be high, consider creating content that is actually shareable on social media platforms. You can also read my article on Common mistakes in social media strategy. Colors between your content can make your dull and ugly content into something very exciting. But, it can also make your most exciting and great content into something that will give them a fishy smell. Contrast is important but when used properly. You should use contrast just to highlight points that are important or that really matters, like your sub-headings, to your external and internal links or something that you want to highlight to your reader's eye. If you write a long content blog post then try to spit your contents in paragraphs, because when you break up your contents into paragraphs or add pagination and break up your content into smaller chunks people tend to read more enthusiastically and feels fresh reading every new paragraph. It is a good practice if you make your paragraphs on four to lines. You can also read my article on Ask These 12 Questions before clicking publish button. If your site is getting traffic that is not relevant to your site or for your products or service that you offer. Then the source from where you are getting traffic and you should immediately stop your marketing campaign. Consider stopping your campaign or to target such types of traffics. Formatting your web pages and making them attractive, eye-catching and welcoming makes it possible that your visitors might stay and reduce bounce rate. Do not harass your visitors too much with large paragraphs that fill the entire page and do not use too much of white spaces just trying to make your content more approachable. If your visitors are bounces even after coming from organic searches then you should really check and optimize your title and description tags. It is because your title and description tags might be misleading your visitors and when they click on, looking your title and description tags and finds that it is not relevant to it. So, your visitor’s are sure to bounce back. You can also read my article on 7 effective ways to fix organic trafficproblems. If you are monetizing your site with ads (of course everyone does), then try not have pop-up ads or auto-play music or videos, get rid of them this disturbs your visitors and readers and only encourages them to click the “Back” button. Quiet informative content it was. Thank you for the share. I'm bookmarking site to stay updated with all the informative content it's rich in. Thanks Neisha that you liked and also for Bookmarking my site. I feel great is my contents are helpful for my readers. 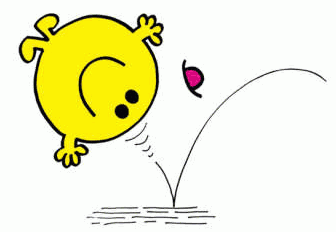 high bounce rates are never good as it means that users do not stick to your site long enough. It will be hard to convert users into sales if bounce rate is high. Thanks for sharing tips to reduce bounce rate and benefit from it. I always struggle with bounce rates. This helped me a lot! High bounce rates are something that we can't control but using certain strategy we can probably reduce certain amount of bounce rates.